So I’ve beat Star Fox Zero, but I’m going to wait to write a full review until after I play through it a couple more times. Much like Star Fox 64, Zero is an intentionally short rail-shooter that’s meant to be replayed multiple times and aiming for a higher score. And like Star Fox 64, Zero includes multiple paths throughout the game, and even expands on that concept for even more replayability. I’m just going to say it. On the whole, I love Star Fox Zero. It really is the proper sequel to Star Fox 64 that I’ve waited close to twenty years for. The overall style is still so much fun that you really have to wonder why it took Nintendo so long to get back to the series’ basics. Now there are two big issues that I should acknowledge before I sing Star Fox Zero’s praises too much: The first are the controls. While the control scheme is far from broken, and in most cases works well enough, switching focus between the television screen and the screen on the Wii U Gamepad can become cumbersome at times. The motion-controlled targeting reticule worked just fine for me, but having to shift your attention between the two screens can grow tedious in the game’s “all-range mode” levels and in certain boss fights. Again, it never feels broken, but I can’t help but feel the control scheme might have been better if the motion controls were as far as the Gamepad features went, and left everything else to a more traditional control scheme. The other problem is that, at times, the game might be playing things a little too close to Star Fox 64. It should be said that, storywise, this game is in fact a reboot of Star Fox 64 and, by extension, a reboot of the original Star Fox as well. So Star Fox is becoming something of Nintendo’s Spider-Man, where they just hit a reset button on the whole thing when it makes a grave misstep. I actually don’t mind Zero’s nature as a reboot, since I really didn’t care for the directions the series went after 64, so I feel starting fresh was probably the way to go. The problem with the similarities is when they feel so close that this might as well be an HD update, as opposed to a reboot. A number of character dialogues, environments, and even boss fights are re-used from Star Fox 64 (though at least from what I’ve seen with the recycled boss fights, they have added a new twist or two). It might come off as faithful at the expense of some originality. With all that said, Star Fox Zero is ultimately proving to be a very fun game. As stated, it does feel like a proper follow-up to Star Fox 64. That alone is reason enough to celebrate. The level design is well done, the gameplay is kept fresh and varied between stages, the characters remain charming, and the game takes the branching paths concept of the series to new levels, with certain stages even requiring a second go in the same playthrough to unlock alternate routes. Not to mention it looks great and had a memorable soundtrack. It may be a bit familiar, but I’d be lying if I said I’m not looking forward to my next few playthroughs. Good of you to play a few more times before reviewing it! I think some other reviewers rushed through, never really got a chance to master the controls and see all the game had to show. That said, I agree with you about cumbersome controls and dual-screen setup. And there’s no denying that this game feels familiar. I had some fun with it despite that, but I’m also trying to play it a couple more times and gather my thoughts before reviewing it. Glad to hear you’re itching to play more! I look forward to your review! I also feel a lot of reviewers just rushed through everything and popped out a review. But that usually seems to be the treatment Nintendo games get if they aren’t Mario or Zelda. 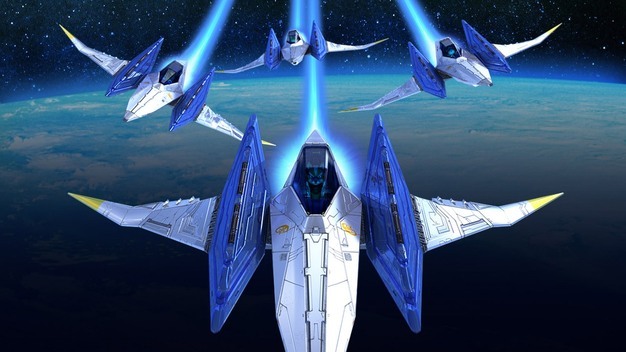 It certainly has its faults, but I’m really loving Star Fox Zero. Can’t wait to give Star Fox Guard a go as well. And hopefully it makes for a bright future for the series. Haha, don’t worry about that! No reason to be disappointed and certainly no reason you’d be disappointing! Star Fox Zero was indeed pretty fun, faults and all. Star Fox Guard is interesting is all I’ll say about that game so far. This may now be a controversial question given your most recent post, but I was wondering, is there voice acting in this game? If so, is it similar to the voices in the N64 Star Fox? I only ask because the voices and dialogue are so bound up with Star Fox 64 and I’ve been surprised to hear how many and how direct the references to it in Zero are. And to be serious, most of the voices sound strikingly similar to their N64 counterparts (even General Pepper). Not sure if it’s the same voice actors or not, though I doubt it. The one exception is Slippy, who I think has an improved voice in Zero. I am also liking it quite a bit! I beat it yesterday, and my first playthrough took about three hours. Now I am looking to figure out how to unlock all stages, then going after all medals, and then trying my hand at the Arcade Mode to see how high can I go in terms of scores in one run. In other words, there is a whole lot left to do and I am looking forward to it, which is a good sign! I agree with your two main complaints (it took me a whole run through the game to truly get a grip on the controls, and the switching between the Gamepad screen and the TV is a pain – especially in the Andross and Aquarosa fights). However, I have a few more complaints: I am not keen on the new vehicles (I can see myself getting to like the walker, but the Gyrocopter is just a pain) and there are some stages in there I felt could have been better (Zoness comes to mind right now). 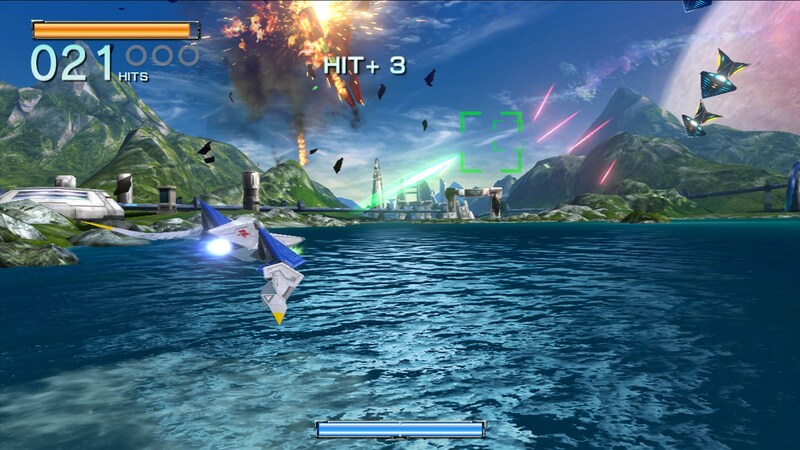 But yeah, it is a great Star Fox game and I hope Nintendo follows it up soon with another game with the same style. I am not ready for another painful hiatus or new installments that fail to understand what the series is all about. Previous Previous post: I Love Disney’s Dubs of Studio Ghibli’s Films. And I Hate Weaboos! Next Next post: Zelda Wii U Delayed Again!